I’m amazed that college student and Sweet Treat Team Ambassador Danielle Doerr of Framed Frosting makes time to whip up some cool treats for herself! She’s studying, of course, and working two part-time jobs, and still has the energy and enthusiasm to invent Bunny Tails Popcorn Mix using Wilton Candy Melts candy and Easter Mix Sprinkles. When I was in college, I would have been lucky to get the popcorn popped! But here she is, a student, working two jobs and sharing her love of sweet treats on her blog. I have to tell you, not only did she drizzle the popcorn with melted candy in three colors, but she also added candy, marshmallows and sprinkles to make the mix fun for Easter. Can’t you just imagine it in little treat bags filling Easter baskets? Her enthusiasm for our Candy Melts candy inspires me! I love her fresh ideas using them and can’t wait to share more of them in future blog posts. Danielle Doerr is a member of the Sweet Treat Team, a select group of bloggers who serve as Wilton brand ambassadors. They are privy to new product launches and Wilton news. Stay tuned to see the fun projects they create using Wilton items. Thank you so much for all of the kind words Linda! 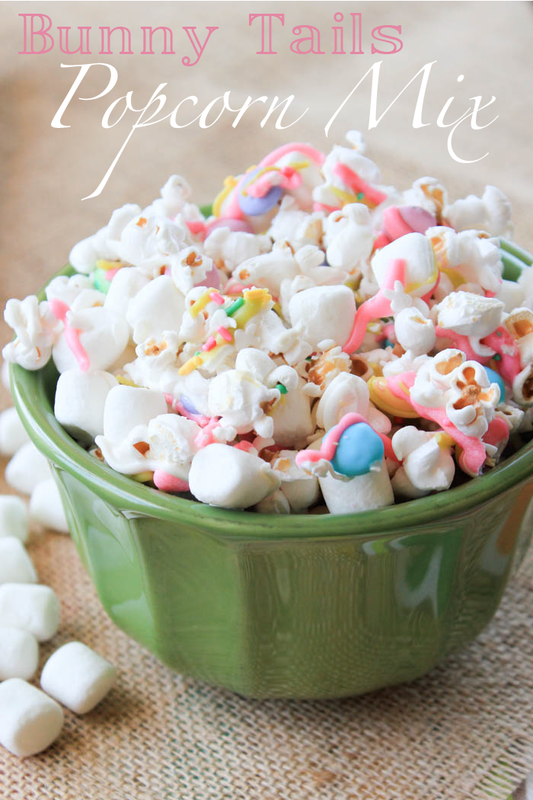 I’m so glad you (and many others) love this popcorn mix – it’s so simple to make and perfect for any Easter basket! I love this idea and how pretty it looks! Great job, Danielle! Yay! I love this fun, festive idea! I made some for a kids’ party and it was a hit! This looks absolutely perfect for Easter! Might have to make them for the kid.